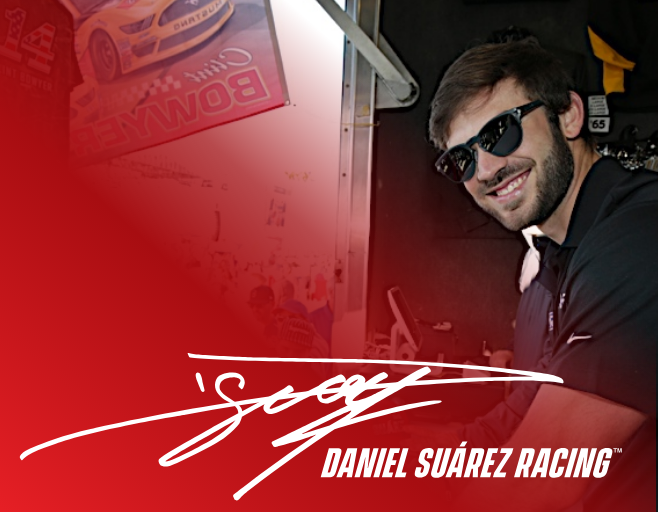 Daniel Suárez will do his best to honor the autograph requests from all of his fans. However, due to the large number of requests, it is necessary to follow our request guidelines. Please respect and follow the guidelines listed below. Please also note that due to the large volume of incoming mail, items do occasionally become separated from their envelopes or packaging. There are also occasions when mail does not make it to the correct destination. We cannot be held responsible for missing, lost or unreturned items. In order for us to return your item, include an addressed, stamped package. IF YOU DO NOT INCLUDE A RETURN SHIPPING METHOD YOUR ITEM WILL NOT BE RETURNED TO YOU. NO personal checks, cash or money orders will be accepted. We will honor requests for autographed driver postcards AS LONG AS SUPPLIES LAST. The limit is ONE per person. Please send a self-addressed 8”x 10” or larger envelope Note: 9″ x 11″ envelopes do require additional postage for delivery. (More postage is required for international mail). IF YOU DO NOT INCLUDE A RETURN SHIPPING METHOD YOUR ITEM WILL NOT BE RETURNED TO YOU. Neither DNS Racing LLC, nor any of its affiliated parties, can guarantee the safe and/or timely return of any autograph request. By submitting an autograph request, you do so at your own risk. All autograph requests are limited. You may submit TWO requests per household per year. Be aware that Daniel is unable to secure the autographs of others. Such requests will be returned unsigned.